BMW’s new “Intelligent Emergency Call” system for motorcycles will be able to save lives by calling emergency services automatically, in case of an accident. BMW is taking a step further in motorcycle rider safety, and will be offering an 'Intelligent Emergency Call' system on its motorbikes from 2017. This will be an optional feature, and will work similar to the ‘eCall’ feature that the company already installs on its cars. This feature lets the user call a BMW call centre in the case of emergencies with the press of a dedicated SOS button. Moreover, in case of accident, the emergency services will be triggered automatically. 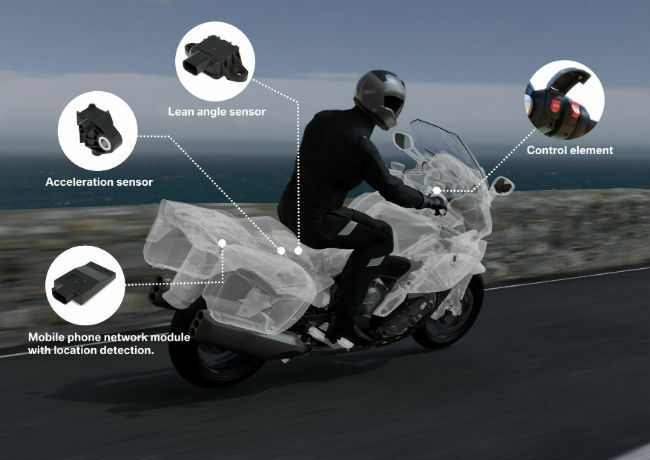 Dubbed as 'Intelligent Emergency Call' system for motorcycles, the new optional feature comprises a lean angle sensor, acceleration sensor and mobile phone location module, which connects to the rider’s phone and makes it work as a GPS beacon in case of emergency. BMW claims that the eCall feature, which the company uses in its cars, saves about 2,500 lives every year in Europe alone. According to BMW, there are three use case scenarios, the first being a major collision or a bad fall, in which case emergency services are triggered automatically. In the meantime, the rider will be able to communicate with the BMW call centre until medical services arrive on the scene. In the second scenario, the automatic triggering will be delayed by 25 seconds in case of minor falls or low speed collisions. 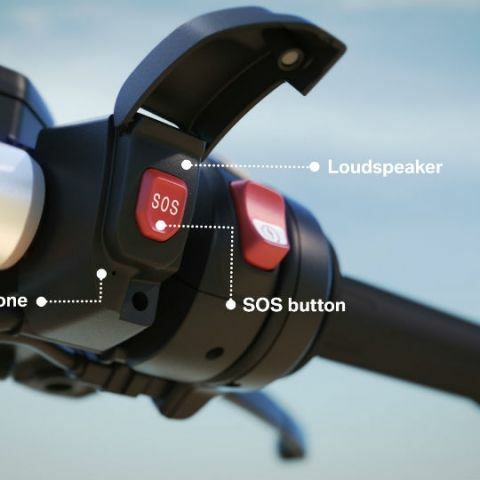 Moreover, the integrated SOS button can be used to trigger emergency services manually, in case the rider or others around require assistance. Initially, BMW’s new 'Intelligent Emergency Call' system will be available to BMW customers in Germany, and the company will expand to other European markets thereafter.